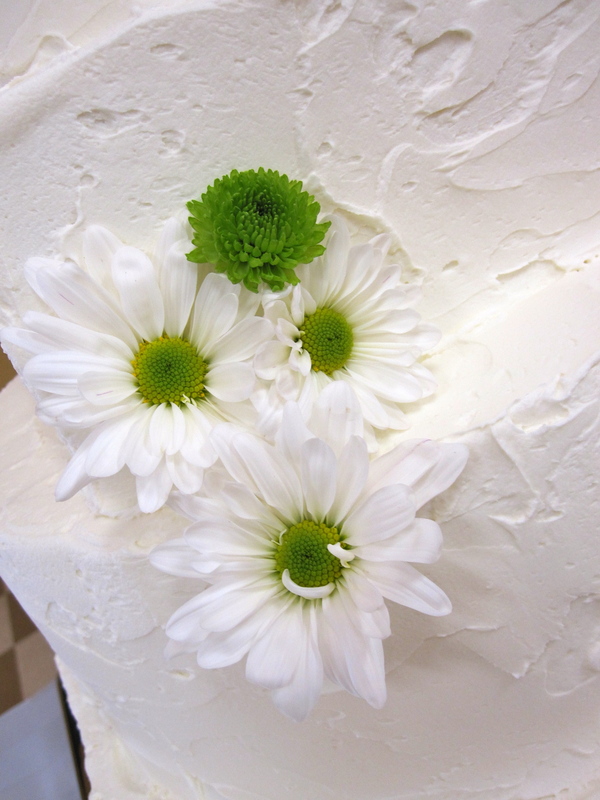 This lovely white textured buttercream wedding cake was adorned with small white and green daisies and bright green button mums. The reception was held at the American Legion Hall in Elizabethtown, Kentucky. The bride and groom chose to have several unique flavors for their cake tiers. Champagne with sliced fresh strawberries, a spice cake with orange buttercream, red velvet with the traditional cream cheese and champagne cake with fresh strawberry filling. The cake was topped with a silver monogramed “T”. 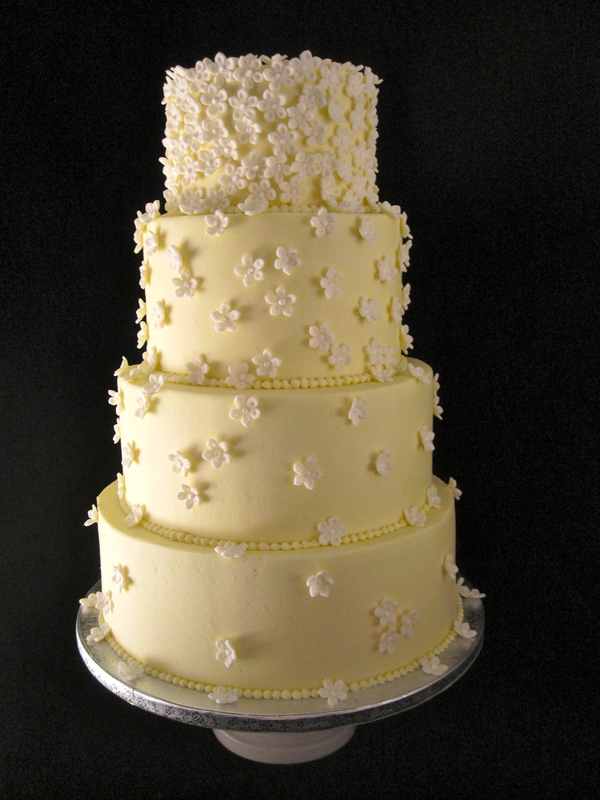 This soft yellow buttercream iced, 4 tier wedding cake is adorned with white fondant flowers that have a pearl in the center of each flower. 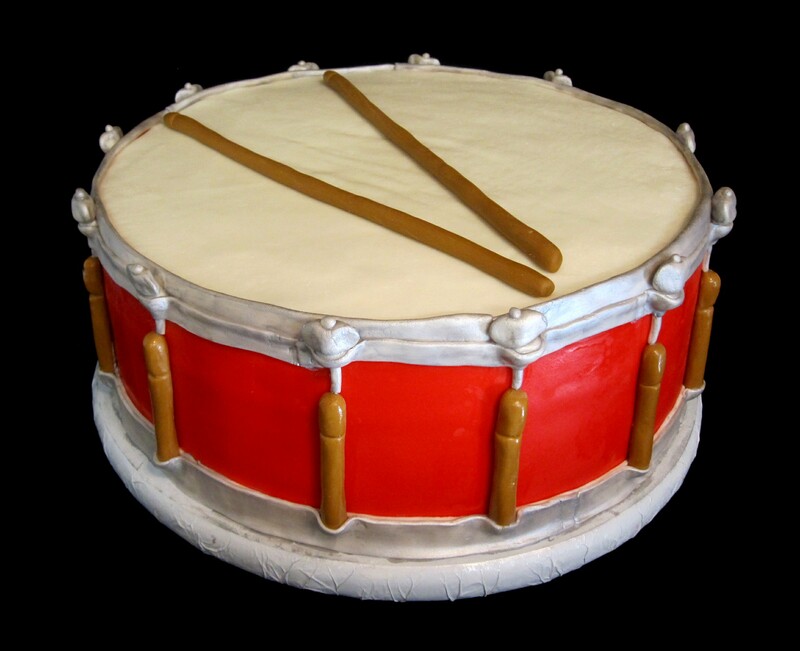 The cake was created for a wedding at the Broughtontown Community Center in Broughtontown, Kentucky. The bride a groom choose different cake flavors for each tier. The flavors were strawberry, creme brûlée, red velvet and the classic white. The wedding had a rustic, laid back feel with the center pieces made from mason jars filled with daisies and silver lanterns with lit candles. 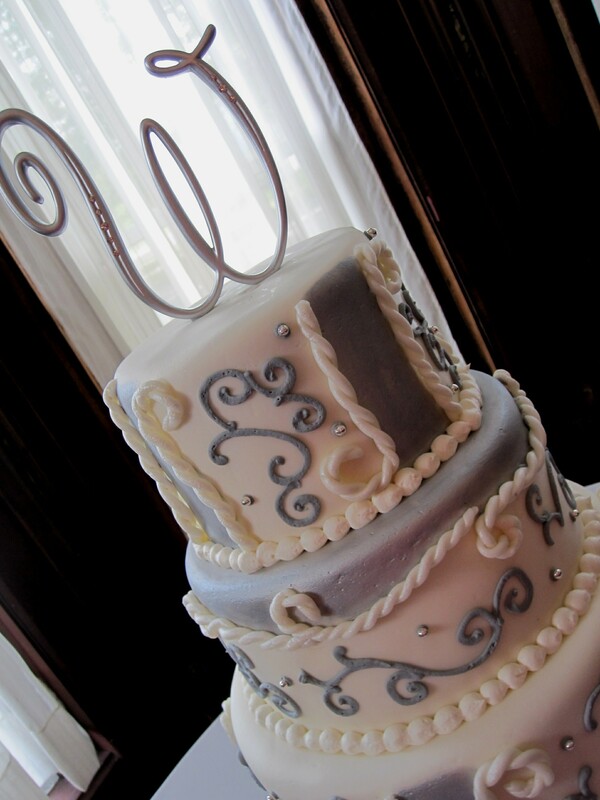 This beautiful silver and white wedding cake was created for a wedding in Lawrenceburg, KY. The cake is covered in white marshmallow fondant and hand painted in silver shimmer. The rope detail is created in fondant as well. 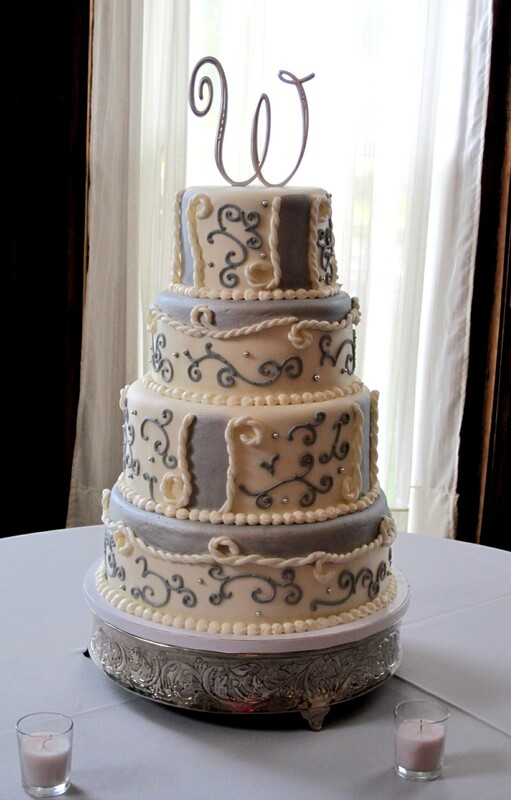 The silver swirl pattern is piped in royal icing. 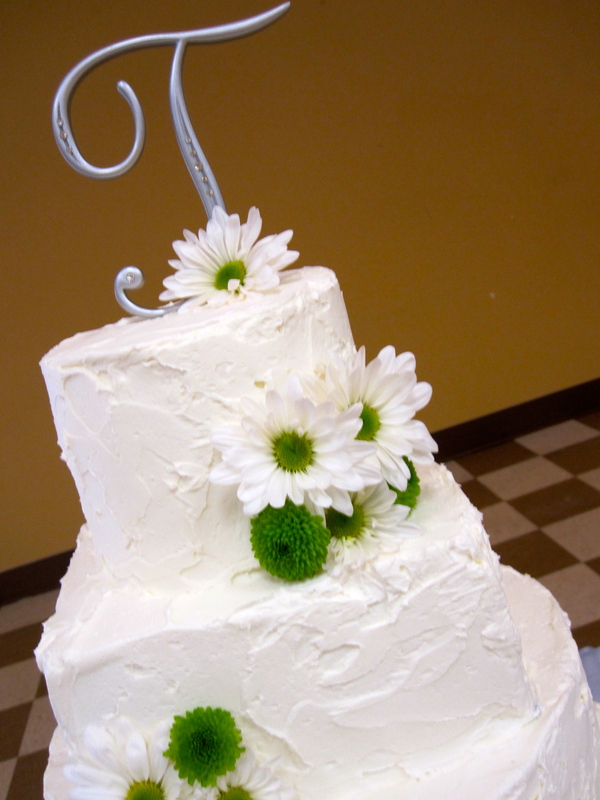 To schedule a complimentary wedding consultation and tasting, call The Twisted Sifter at 859-238-9393. This beautiful wintery 4 tier cake was created for a little girl’s birthday. 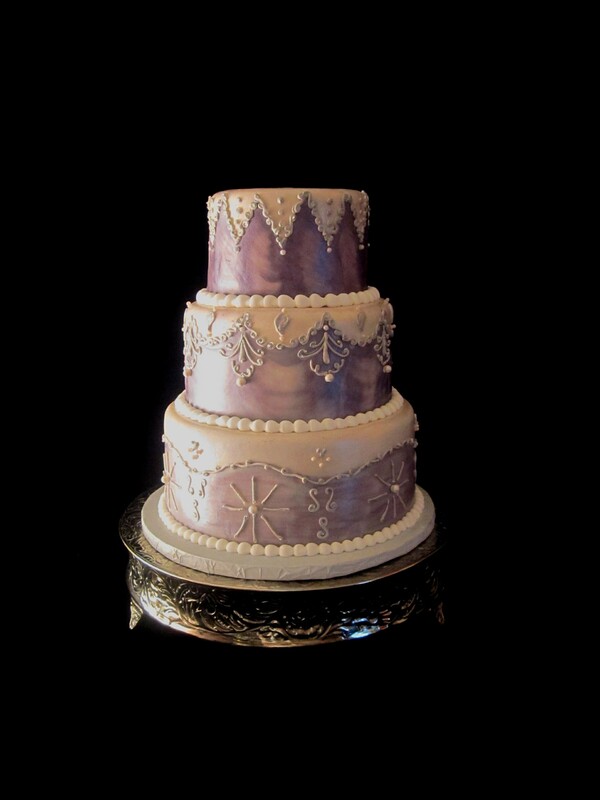 The cake was covered with white marshmallow fondant, hand painted with purple pearl dust and piped with royal icing then painted with silver pearl dust. 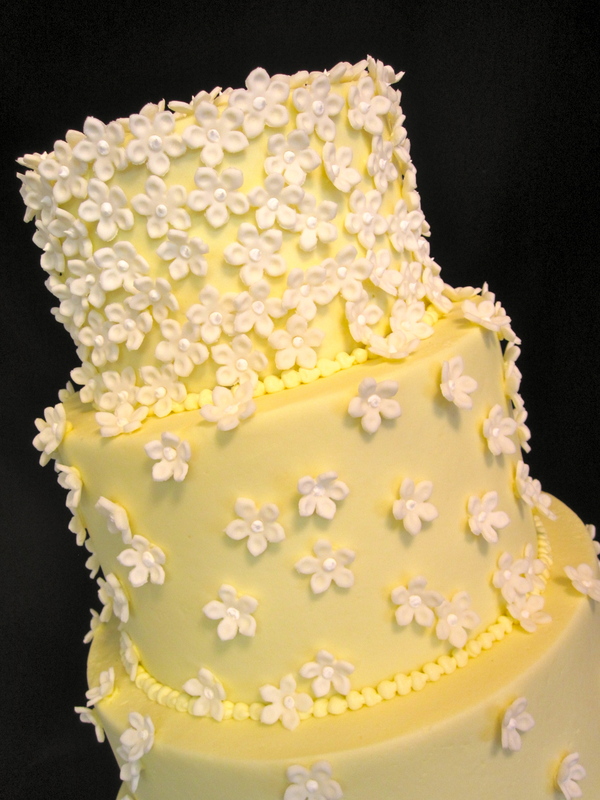 This beautiful ivory on ivory buttercream wedding cake was accompanied by 150 cupcakes. 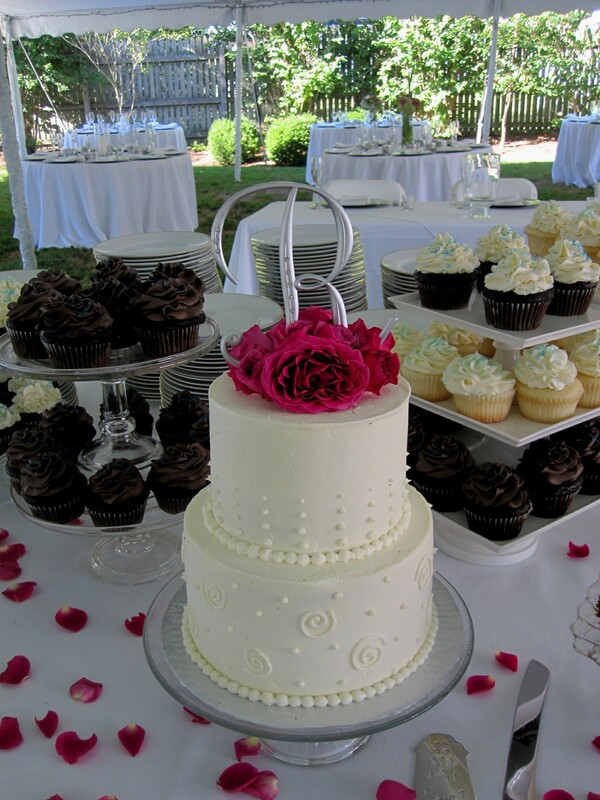 The wedding was held at the Elmwood Inn in Perryville, KY.
To order a cake or to schedule a complimentary wedding consultation and tasting, call 859-285-0306. 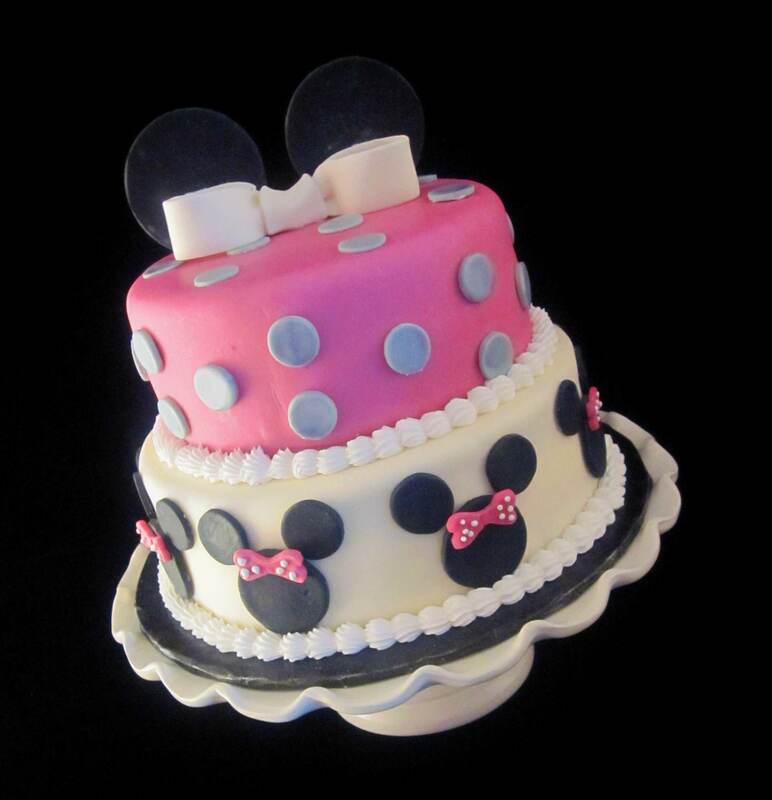 This cute Minnie Mouse and polka dot themed baby shower cake was created in our marshmallow fondant. To order a cake, call The Twisted Sifter Cake Shoppe at 859-285-0306.